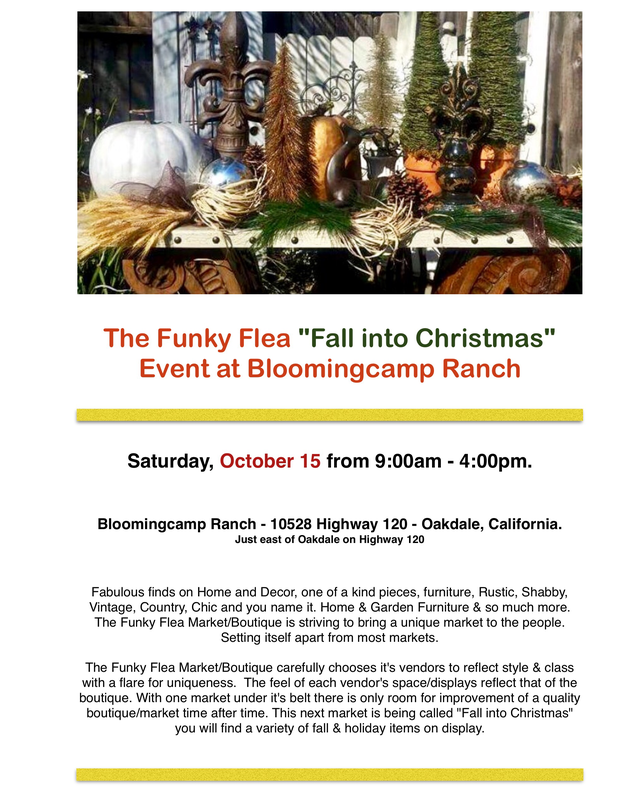 The Funky Flea “Fall into Christmas” Event at Bloomingcamp Ranch. Previous Previous post: Detectives Arrest Oakdale Man in Airport District Homicide Investigation. WeEscalon The Funky Flea “Fall into Christmas” Event at Bloomingcamp Ranch.